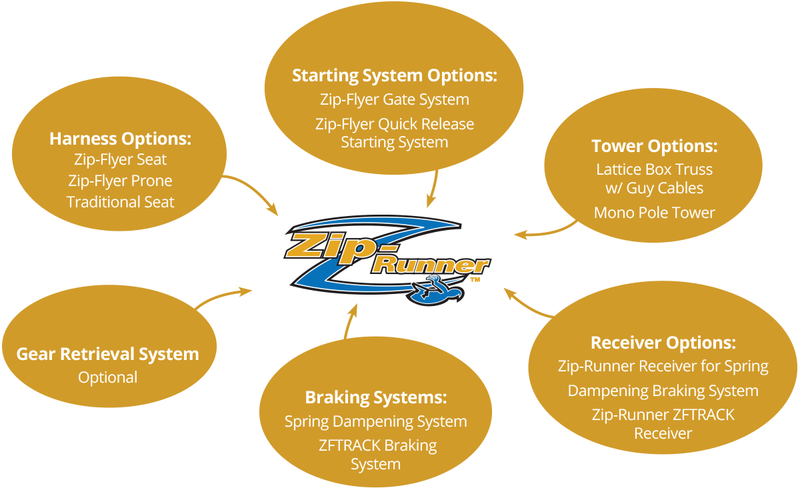 The Zip-Runner System is designed for both tours and long, steep amusement-style zip lines. This system, which can be automated or manual, features the patented Zip-Runner Trolley. Using eddy current magnetic braking technology, this trolley applies braking force along the cable and eliminates the need for friction-based brake pads. The Zip-Runner can be used with our Gear Retrieval System (GRS) and a variety of harness options, including our Zip-Flyer “super-hero style” prone harness. A modular system, the Zip-Runner configuration can be expanded as your business grows.